We always try our best to optimise things and make things more efficient. Even in finance, to optimise is to eliminate waste and to streamline all the financial process to produce the least waste and maximise the most returns. But we don't always have to be like that. 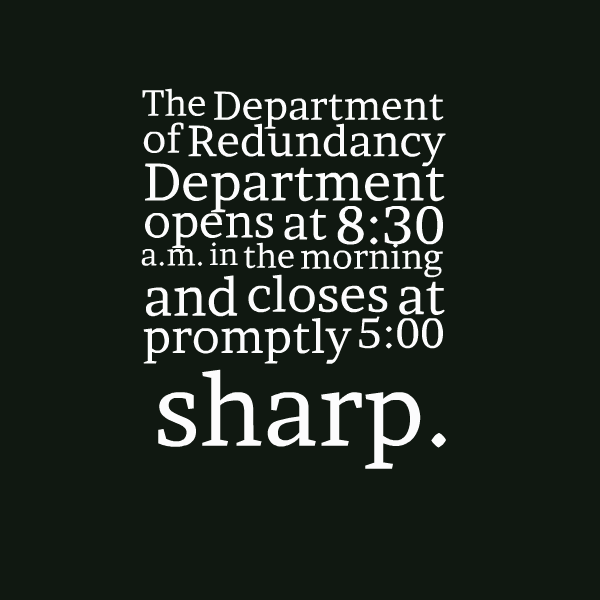 Inefficiency creates redundancies. It creates a space where there are excess capacities that can be tapped when the norm is changed, sometimes drastically so. Take for example our local MRT transportation system. Before the NEL is up, I fondly remembered that there are buses ferrying passengers from the north-eastern part of Singapore to the central region. For a long while, that was the only way in which northeasterners can get to central regions. The MRT network is much simpler in the past and there is always the reliable bus system to fill the transportational 'needs gap' that the MRT couldn't fill by itself. The moment the NEL is stabilised and running, the bus system is removed totally, all in the name of efficiency. This suddenly places huge stress on the reliability of the NEL system to not cripple the entire transportation network in Singapore. That's the complete opposite of anti-fragility. If everything goes smoothly, then all is good. But one day, when the all critical NEL line breaks down, everyone gets stuck in the bottleneck because there simply isn't a backup system. We only have emergency buses that tries to defuse the hot situation by channeling passengers in stuck MRT stations away. Too efficient until we are not longer robust? 1. Channeling all our CPF-OA into CPF-SA to capitalise on the higher returns, especially when you haven't been hit by the financial bombs. Yes, you do get higher returns but SA is not good for much use until years later down the road. In the meantime, there is the present to deal with. What happens if you run into employment issues and have problem servicing your loan? The transfer is irreversible. You can run a very tight and efficient ship but you need to be a very experienced captain who can foresee problems years before they crop up. If not, you sail fast but the moment a severe storm hits you, you're going to have a big issue. 2. Eating cheap (but unhealthy) food. Food is one of the biggest cost that we can't do without. But there is a difference between food that you need to eat and food that we want to eat. I can live on a $5 every day and spend a total of $150 per month on food, versus about $600 for what I'm spending now. 4 times difference is a significant difference. A savings of $450 can be squirreled away every month, and before you know it, you'll have an extra $5400 per year. Cheap hawker fare that cost $2.50 is usually mostly carbs, and we all know what excess carbs can do for our body. There's a future health cost attached to that cheap meal that we're having right now. That means the money we're saving right now is really just going to pay for the future health cost. It might not even be enough, depending on how serious that health issue blows up. In the recent years, I realised I was spending too much time saving money on things that doesn't count. I could be hunting for a cheap pen that cost 80 cts instead of $1.20. These are important habits that brought me to where I am now, but I realised I was still in survival mode. I was efficient in the past when money is tight and time is plentiful, but now, the opposite is true. I could have spent less energy searching for that bargain buy and just get it over and done with by spending a little more. Pen is just an extreme example, but it could have been a graphic card for my desktop, searching high and low in sim lim square for that 20 or 30 dollars off. This is the pen that I bought for 80 cts. 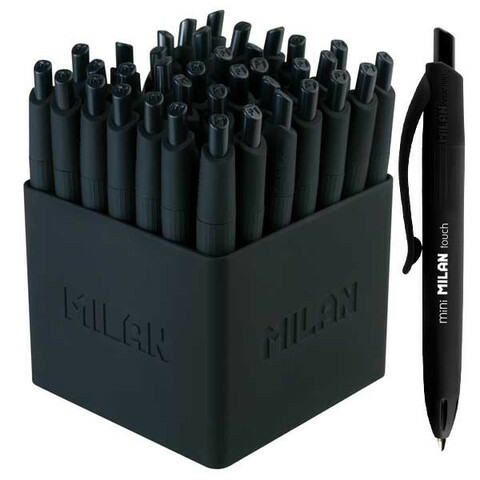 I was proud and happy I could save for something as trivial as a pen, at least in the past. I wouldn't do such things now. Is it efficient? Subjective, but I must say I've loosen up on such things. It's now more important to save on time and energy. I think efficiency can mean different things when we have very limited resources or when resources are not that bad. As I find myself not caring about the dollar or two that I could have saved if I searched harder, or not caring so much about the prices on the menu when I order, I think I didn't slacken off. In fact, I have progressed a lot. When I have a much broader base, I don't have to do all the nitty gritty stuff that I had to do when my base is smaller. Now that's progression, isn't it? Quote : "Channeling all our CPF-OA into CPF-SA to capitalise on the higher returns, especially when you haven't been hit by the financial bombs. Yes, you do get higher returns but SA is not good for much use until years later down the road. In the meantime, there is the present to deal with. What happens if you run into employment issues and have problem servicing your loan? The transfer is irreversible. You can run a very tight and efficient ship but you need to be a very experienced captain who can foresee problems years before they crop up. If not, you sail fast but the moment a severe storm hits you, you're going to have a big issue." Well said. Give you thumb up! For compounding the FUTURE money @1.5% more for the some higher MONTHLY payout starting from 65/67 over rest of our life is efficient; but be careful. Do the Maths, do we really have that EXTRAs to be put away as FUTURE money. We can't follow someone's idea without knowing how FAT is their CPF OA. FAT men can lose some fat; but can THIN men also do so? The gap of laying our hand on CPF OA is at 55, can be lump or anytime once annually is 10/12 year to 65/67 and it is on monthly payout. What if; tio Big C after 55 and our thinking of future money of higher monthly CPF Life payout after 65/67 will change. May be regret? That's the fun part of blogging isn't it? It's the intellectual discussion, debate, and debunking of what we say. And if we can critique our own past behaviours, yup, that's GROWTH! Well, he did say that we should transfer oa to sa only after we've settled our housing issues :) But I probably come from another angle altogether, since I'm self employed and not much cpf to begin with. All the cpf money is voluntarily contributed to 3 accounts, to save on taxes and also to buffer for mortgage loan. So my agenda is a little different from employed. Yes, indeed :) The whole pt of blogging is to see how silly we are in the past and laugh about it! I warrant prince! You can re-frame it as a matter of poor strategy too, yes! Those who are too efficient in the short term without looking at the long term costs have poor strategy to begin with haha! Pt 1) agree wholeheatheedly. I don't really like cpf as it is subject to too much control. Best to just use it to buy ur hub flat and pay instalment with it and that's about it. Pt 3) U r right, survival mode means scrimping. When out of it, better spend the time comparing cost to finding additional revenue streams to cover the cost. Or to justify ur opportunity cost. Finally, Y.O.L.O . Live life within ur means and fulfilled desires and experiences when u have the time and means. Don't wait till it too late or too old... A lot of things can only be done when u r either single.. A lot of things can only be done when u r young .. Once that passes u by, you will find it hard to do those things... Those could be experiences which will be with you till the end... Of course. They are things to be done when u r married.... And there are those when u r old.. Interesting discussion on the transfer of OA to SA. For myself, I keep about 6 to 7 months of housing instalments in my OA and transfer the rest to SA. I took up a short loan (< 5 yrs) so I think I've pretty comfortable with the arrangement. In the event that I really become jobless for > 6 months, I would tap on my emergency funds to pay up the remaining loan. LP, if you do VC, I don't think there is income tax rebate ? Income tax rebate only applies if you contribute to CPF via the minimum sum top up scheme. Long time no see :) For pt 2, I did mentioned cheap and unhealthy food in the heading haha! I agree with you. Once upon a time, I wanted to earn more money so that I could play more games. Now, with the money and the game in front of me, I'm also finding it sian. Different season, different play. Once the season is over, you want to do it also will be a different feeling. I agree with you, I think you've created enough redundancies, well done! I'm a self employed, so my 'system' is a little different from employed. There is income tax rebate for VC for my case, and I've done it for a couple of years already. If you're interested to find out more regarding the different types of contribution to cpf, you can look at my post here to have a read. nice comment cw, this is why i don't agree with blogs that are very one-sided with their prescriptions. because everyone's situation is different. so someone comes along, copies the prescription and applies it then scold the blogger for his/her predicament. who is wrong? I tend to have strong opinions. so I need to remind myself of this too.